The galaxy is zooming toward the upper left of this image, in between other galaxies in the Norma cluster located over 200 million light years away. The road is harsh: intergalactic gas in the Norma cluster is sparse, but so hot at 180 million degrees Fahrenheit that it glows in X-rays detected by Chandra (blue). The spiral plows through the seething intra-cluster gas so rapidly — at nearly 4.5 million miles per hour — much of its own gas is caught and torn away. Astronomers call this "ram pressure stripping." The galaxy's stars remain intact due to the binding force of their gravity. The image is also decorated with hundreds of stars from within the Milky Way. Though not connected in the slightest to ESO 137-001, these stars and the two reddish elliptical galaxies contribute to a vibrant celestial vista. 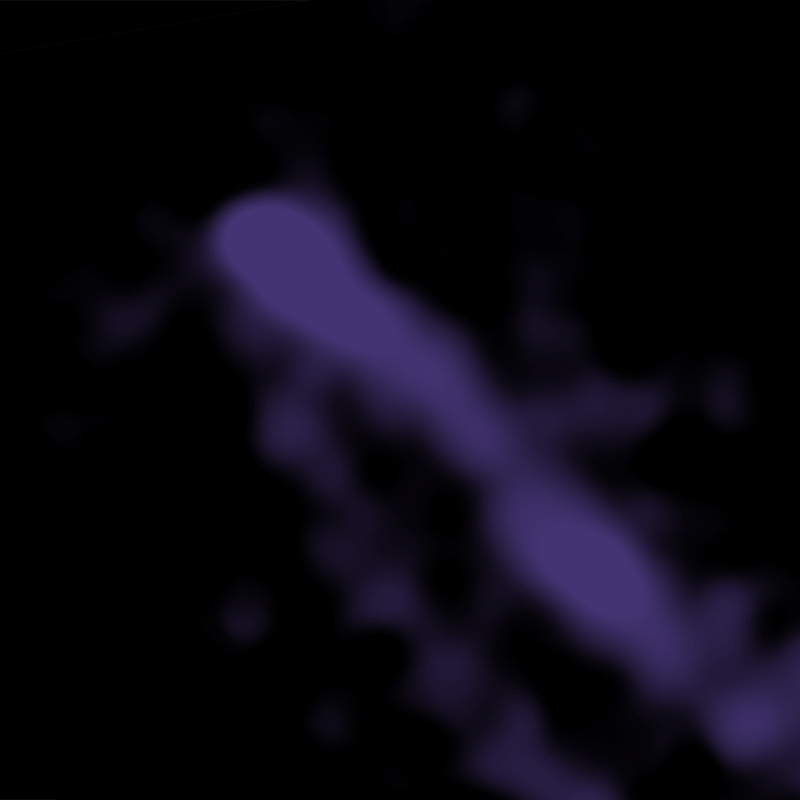 Coordinates (J2000) RA 16h 12m 39.43s | Dec -60° 47´ 02.71"
Why is it leaving matter in its wake? Why isn't the galaxy being held together? Have any idea of what caused this galaxy to start moving at such a high speed? Why is it traveling 4.5 MPH relative to it's location? Simply amazing.. However, I feel bad for the aliens who were living there, I know they probably won't be affected. 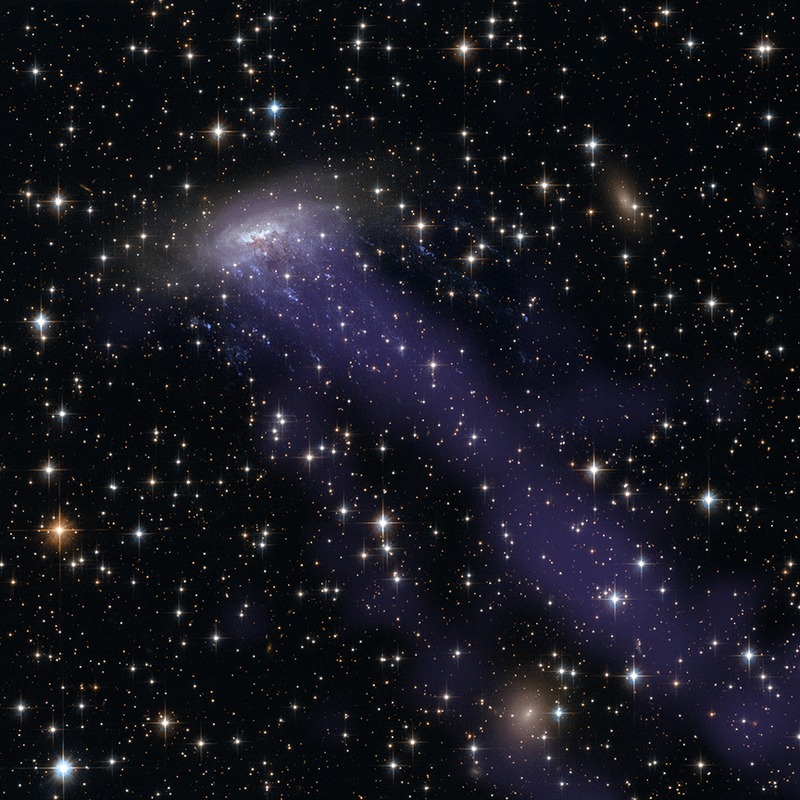 ESO 137-001 is a galaxy plunging into a galaxy cluster. About 220 million light years. About 100,000 light years across.